I wound up not sewing one, completely…. this Vintage Dress Calendar. I was very excited when I ordered it, but whoever designed it did a horrible job – the image is blurry (I am guessing from blowing up the cover of a pattern) and is just overall disappointing so I couldn’t bring myself to actually put it together right now. The rest? Adorable. 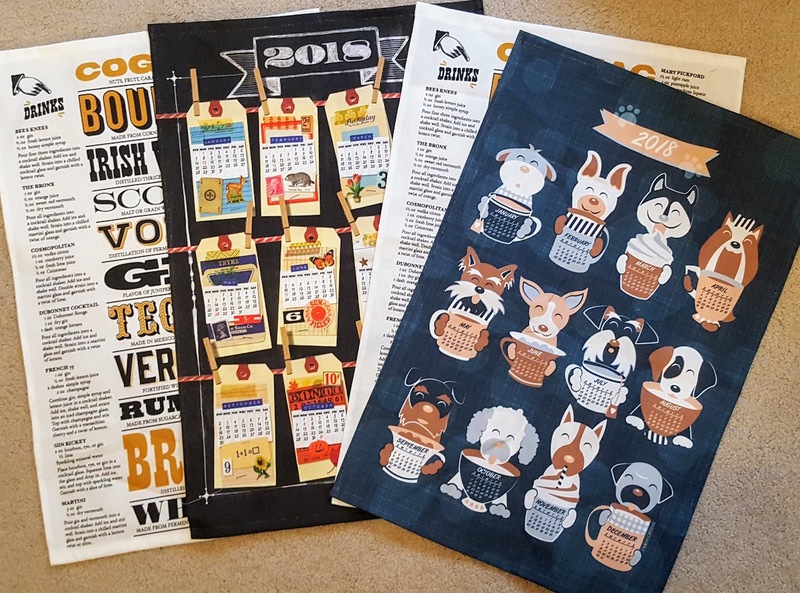 I also got a few Prohibition Cocktails tea towels as well – I thought they made great “guy” gifts (I paired this up with a mixed drink recipe party glass). NOW I’m ready for Christmas! This entry was posted in Uncategorized on December 22, 2017 by stacy.